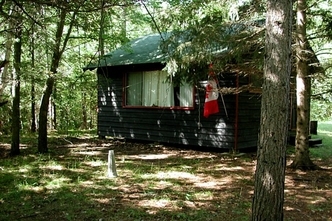 The Muskoka region is often referred to as "Cottage Country" because of the large number of vacation cottages and/or cabins that are located in the area. Originally most of the cottages were small, single level dwellings that had lake access, running water, sanitation facilities and very little else. They were "summer properties" unsuited to year round use. Over the years, this has changed. Many of the original cottages/cabins have been demolished and new, much larger houses have been built in their places complete with furnaces, TVs, air conditioning, and all the modern conveniences. The Hamblin cabins in Muskoka are throwbacks. They do have electricity, running water, and sanitation facilities. However they are still single storied, small, and relatively rustic. 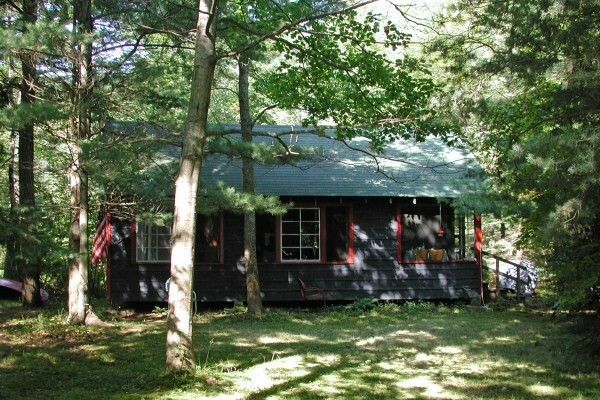 The main cabin started life as part of a planned group of three cottages on the Lake of Bays across the road from the Forest Creek Golf Links. Since the lane leading to the cottages had a sign that said "Not a Road", the cottages were quickly referred to as #1 NotARoad, #2 NotARoad, or #3 NotARoad. Sadly, the Forest Creek Golf Links are no more, but some of the cottages/cabins of NotARoad still persevere. When Chip's parents purchased #3 NotARoad in the early 1960s, they added a small attached shed that provided a storage area and space for the "luxury of luxuries", a 30" by 30" shower. The cabin contained 2 bedrooms, a living room, a dining area, a kitchen and a bathroom, all on a footprint of a little less than 600 square feet. Not bad for a 1950s Lake of Bays' cabin! 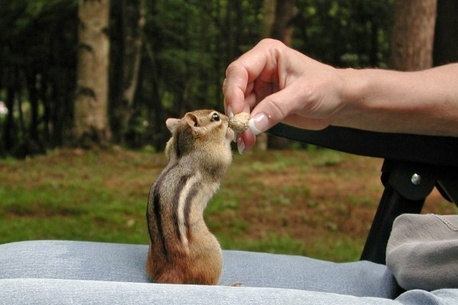 A year later, Chip's parents added a second cabin for their use, while the children or guests were occupying the main cabin. This cabin is about 320 square feet, has a powder room and sleeping space for 2 people. This cabin was dubbed the "Dower House." The Dower House also features a new luxury utility, an electric powered baseboad heater. It was intended to "take the chill off" on cold nights and certainly is inadequate for use when the temperature gets close to freezing. 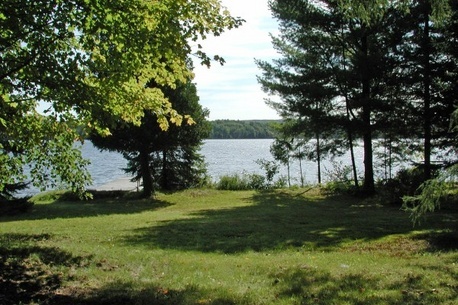 In order to maximize enjoyment of the Lake of Bays, a 24 foot dock (30" wide) was installed and served for a few years. Eventually it was removed in favor of a larger dock with a stone filled crib base. That dock is still in use both by the human and boat populations as well as by the fish that seem to be attracted to the breeding possibilities amidst the shelter of the stone cribs.